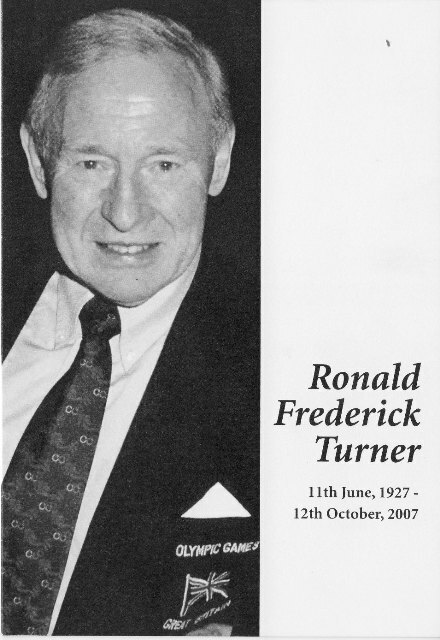 Ron Turner was an inspirational member of Penguin, who died on 12 October 2007 following a road accident. Born in Notting Hill in the late 1920s, Ron lived most of his life in the Acton/Shepherds Bush area and worked as an engineer for Lucas. Ron was a member of the hugely successful Penguin sides that won the ASA knock-out competition in 1947, 1951 and 1952. He was an exceptional forward player, known for his fitness and tough approach. His shot accuracy was unerring. He was also a model player and trained hard, often on his own at Acton or Lime Grove baths. His training was interrupted once, he related, when the Germans raided Acton and a bomb came through the skylight into the pool! 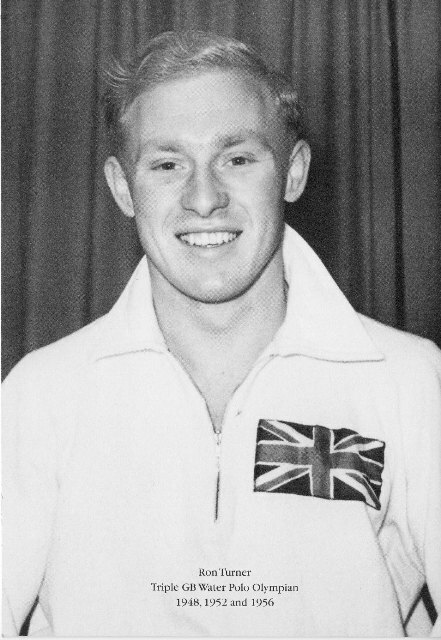 Ron played water polo in two Olympic Games – in Helsinki in 1952 (PDF) and Melbourne in 1956 (PDF), as well as being a reserve for the last London Olympics in 1948. At the Games in 1956 he was selected to play in the ‘best of the rest of the World’ team that played against the Olympic Champions. Well-known for his self-effacing approach, Ron was a guiding light for literally generations of Penguin and Middlesex water polo players. When the time came to hang up his costume, he coached, managed and administered water polo in Middlesex. When Ron retired from playing water polo at the top, he continued to swim and train. He swam with the Penguin Masters even with a heart pacemaker and was Middlesex champion at backstroke with a string of Masters records. Twice Penguin President, Ron had also been President of the London League and Middlesex County. Ron died shortly after celebrating his 80th birthday. Ron is survived by wife Gill, his daughter Mandy and son Russell. In 2009 the Ron Turner Memorial Trophy was established as an annual award to be presented to a young member of the Club in honour of Ron. Read more about the award. In the run up to the London 2012 Olympics the Swimming Times magazine feature an article about the last appearance of a GB water polo team at an Olympic Games. Ron was one of the players in the team. Read the article (PDF).